Viral Video: Coco Austin … Turned Weather Girl? It’s a good thing Coco Austin has two massive anchors to keep her grounded during superstorm Sandy! On Monday, Ice-T's wife tried to document the severity of the hurricane from her New Jersey apartment, updating her fans minute to minute via twitter … and sharing this video gem. See her hilarious reporting skills below. Even in the midst of a hurricane, Coco still managed to put her two biggest assets on display while she videotaped the storm from her balcony, wearing a tight pink jumpsuit and a low-cut tank. We’re glad Coco’s ok … but she should probably stick to reality TV and leave hurricane coverage to the news. She's not the only star that's been documenting Sandy. 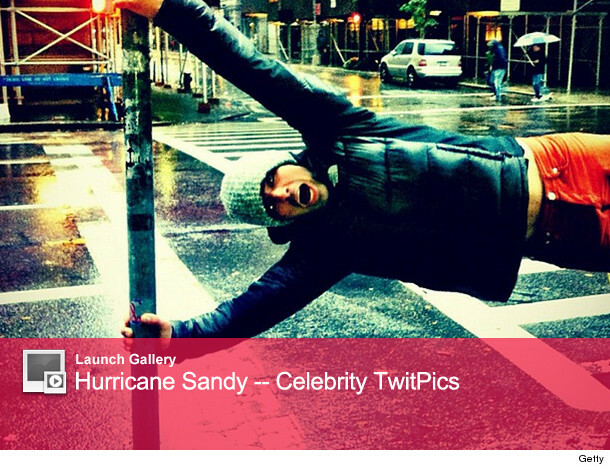 Check out these twitpics of celebrities caught in the storm! Bethenny Frankel Gropes Coco Austin's Famous Behind!